DJ and producer Will Saul talks to Midland and Dusky, two acts who've had a big few years on the Aus Music label, before all of them go back to back for an hour on the 6 Mix decks. DJ and producer Will Saul talks to Midland and Dusky, two acts who've had a big few years on the Aus Music label, about their musical influences and inspirations before all of them go back to back for an hour on the 6 Mix decks. Celebrating it's 10th birthday this year, Aus Music was the brainchild of Will Saul, who also founded the imprint's sister label Simple Records and Ninja Tune artist, Fink. Aside from his DJing, Will is also an A&R and producer, having remixed for Little Dragon, Scuba, Fink, Pearson Sound, and The Juan Maclean to name just a few. He was also a resident at the legendary End club in London for many years before it closed it's doors in 2009. Aus Music is home to a diverse roster of artists, having released music by Appleblim, Joy Orbison, George Fitzgerald and Deetron, with the focus being to release more experimental and leftfield sounds to Simple. 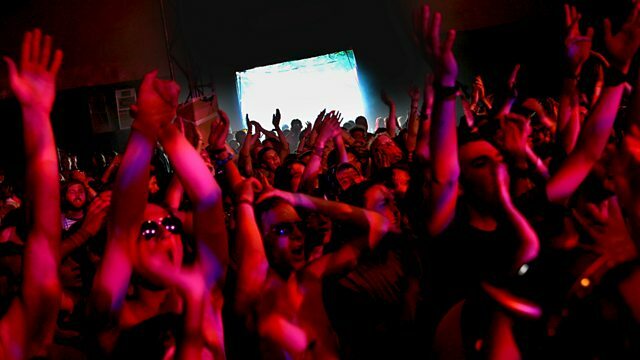 Having enjoyed a particularly strong few years, the label was voted in xlr8r magazine's Top 10 labels of 2012 and its releases are a firm favourite of 6 Mix Residents Groove Armada, who recently said it was their favourite label, and has been supported by other regulars such as X-Press 2 and Ben Watt. Make Me Believe In You.